While the seats are now going to more capacious, the berths too are going to be bigger than before. A new feature of tray tables has also been added. The special design of the seats has ensured that the seats are structured in such a manner that they are jerk-resistant. The new seats are fire-resistant too as they are made from special poly-vinyl fabric. Along with this, all the seats are now going to have holders to keep water, installed right next to them. 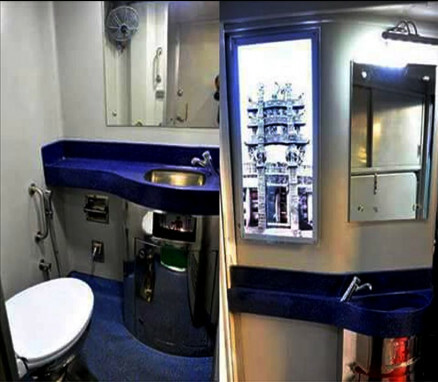 There is no more need for you to look beyond your seat to place you bottle of Rail Neer. 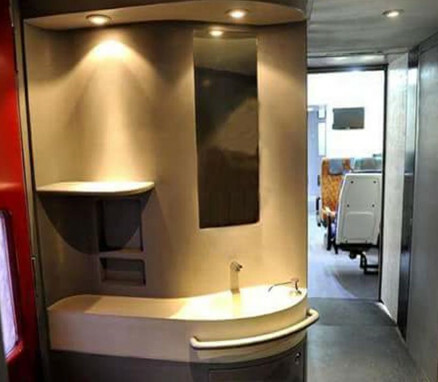 Fire has been a consistent problem for the Indian Railways, and this issue now has been dealt with by placing quality-tested fire extinguishers at both the ends of a compartment. Now, it has been made sure that if fire breaks at any place of the train compartment, an extinguisher would be handy to put down the fire quickly. A regular check would be conducted on these extinguishers so that they remain usable at the required hour. Railings and side-supports have now taken the place of thick irritating chains that were given in middle births. These thick chains were put into use so that the middle berth stays in its place and hanged from the top berth. 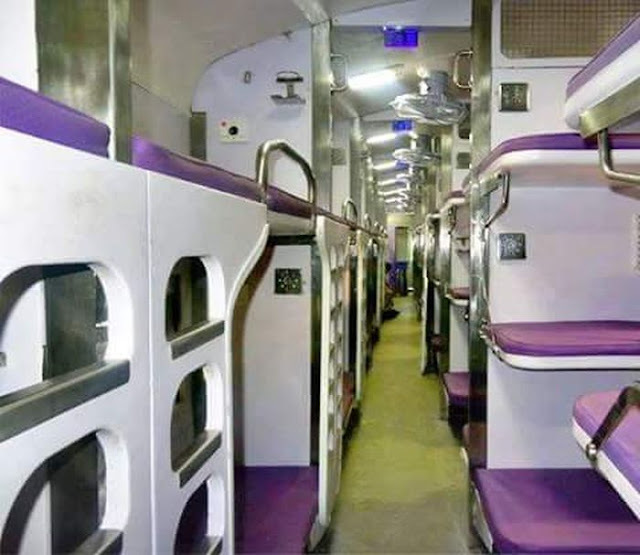 The Indian Railway’s new Make in India scheme is surely a blessing. The smelly and dirty toilets will now be replace from eco-friendly Bio toilets. This is an efficient way of discharging human waste, away from railway tracks. And yes, soaps will be kept in the toilets on time and dustbins will be cleared on a regular basis. A lovely brighter color palette is going to welcome you in the compartments that were earlier were dull blue. 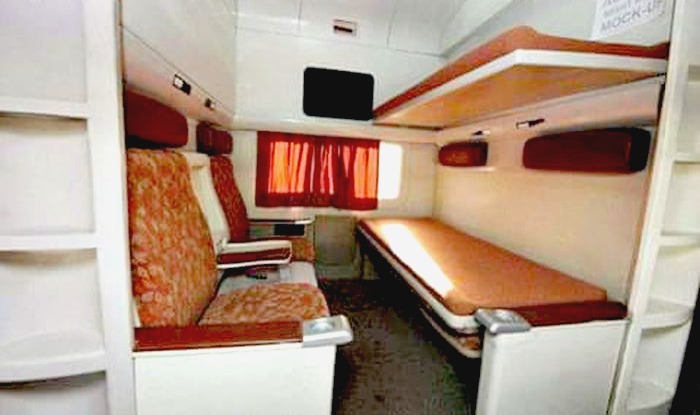 Colorful curtains and upholstery have been added to the compartments. Even the floor now has been painted in similar colors, which looks like a carpet. The dirty looking floor has been revamped with matching colors giving the compartment an upgraded look as carpet was not a financially feasible idea. The condition of charging points are in a pretty sad state currently. Finding a working charging point in a train is a very tough task. 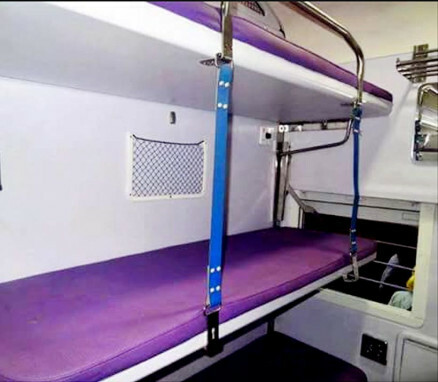 The new compartments are now going to have separate charging points for laptops and cell phones. 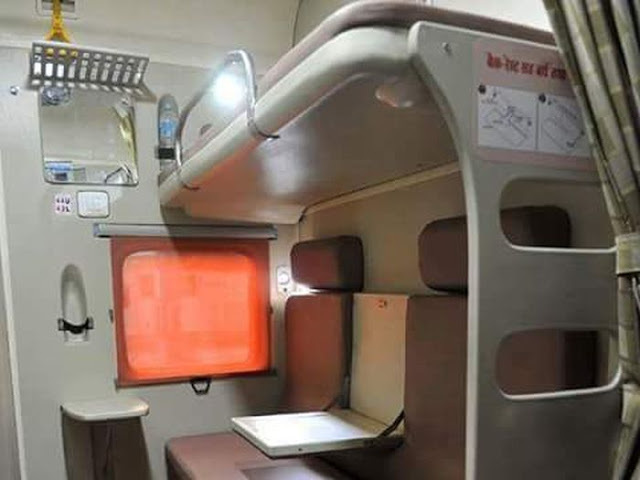 Another amazing feature would be seats with LED lights specially for reading purpose. 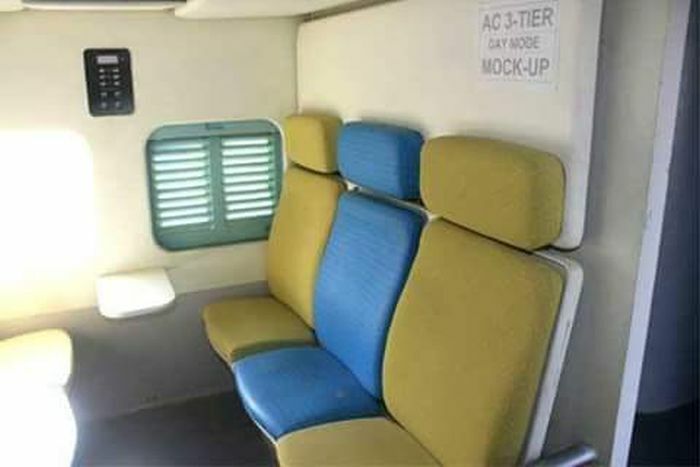 Better ergonomic seats with proper arm rest and lumber with a table would now be present in the Chair car compartments. Tables would be placed between the seats facing each other. The present scene is that the Shatabdi trains have the most comfortable chairs. As per the new scheme, similar kind of comfortable seats would be added in other trains too. On a trial basis, a successful run of these 24 coaches has been done between Bhopal railway station and Bina railway station. 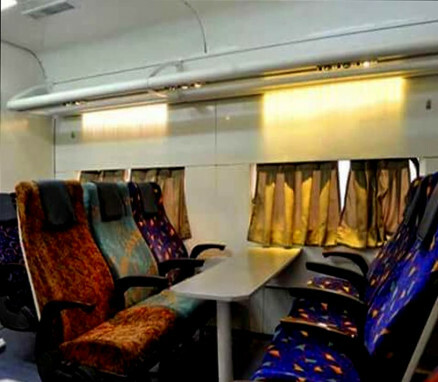 There are plans to manufacture more of such 11 coaches that would include 15 AC coaches for 3 tier, 87 non AC coaches, chair car coaches, five for AC 2 tier and one each for AC 1 tier. First of all, these coaches would be introduced in the ISO-certified trains and Rajdhani Expresses all around the country. 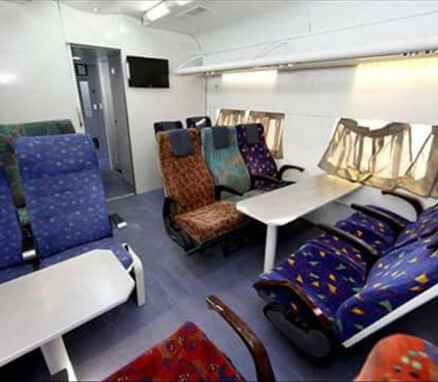 In the second phase of the Indian Railways’ new Make in India scheme, the Coach Rehabilitation Workshop at Nishaputra, Bhopal is going to manufacture executive chair car class coaches for the Shatabdi trains.